I leave to California very early tomorrow and I am really excited about attending LuckyFABB on Thursday and Friday. Last year was so much fun and I got to meet some really awesome bloggers so I am really looking forward to reconnecting with my pals. 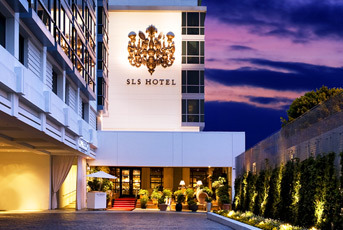 This year's conference will be held at the swanky SLS Hotel in Beverly Hills. I can't afford the SLS, but I scored a great deal on the Sofitel Hotel around the corner from the SLS, so I will make my camp there! Someone on twitter said that LuckyFABB is like summer camp in that it's your one chance each year to see your "penpals" only in our case it's our "blogpals." I couldn't agree more. While my blog is not my full-time job and I truly don't want it to be, it's nice to be in a room full of women who don't think it's weird to go outside to take outfit photos. And can I go ahead and admit that the freebies are ridiculous?!?! Last year, I ended up having to check a bag because the gift bag was enormous! Even for weekend trips, I can't fill it and Lucky and their sponsors filled it to the brim with goodies that ranged from nail polishes to false eyelashes, Spanx to sunglasses and clothes, moisturizer to tanning creams, business card cases to iPad cases, and GIFT CARDS! All for us. And the madness has already begun. In the last few weeks, we've been invited to styling events, breakfasts and even Coachella parties-too bad I don't live in California and I can't stay for all of April! However, the most valuable experience other than all the goodies and parties is the opportunity to work with amazing brands. Last year, I was able to work with Urban Decay, Tacori, Zappos and Paige Premium Denim to name a few as a direct result of our interactions at LuckyFABB and this year I am really looking forward to getting to do it bigger and better now that I know what I'm doing. 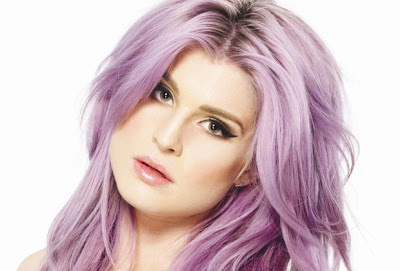 I can't wait to hear from Kelly Osbourne because I love her on Fashion Police! Posting will be slow this week because after LuckyFABB, Mr. Fantastic is meeting me in LA and we are spending the weekend in Marina Del Rey hopefully sleeping in and relaxing! I hope you all have a fantastic week, I know I will! Hi Ana! Just hopping around today and wanted to let you know that I'm hosting a Stella and Dot jewelry giveaway on Friday! It's my first one but wanted to give you the heads up. Hope you'll stop by then! It was so great to meet you today at Day 1 of Lucky FABB! The charging stations really were a life saver! Can't wait to see the freebies we get tomorrow!!! sounds like fun! and if you need to unload any of that swag - holla at me. It was great to see you again this year Ana! Loved all the bright colors you wore on Thursday's event. FABB was awesome! Thank you, everyone! LuckyFABB was soooo much fun and I loved getting to see all my blog friends from last year and also getting to meet all the new faces this year! I'm already counting down to next year and I haven't even finished unpacking my gift bag!